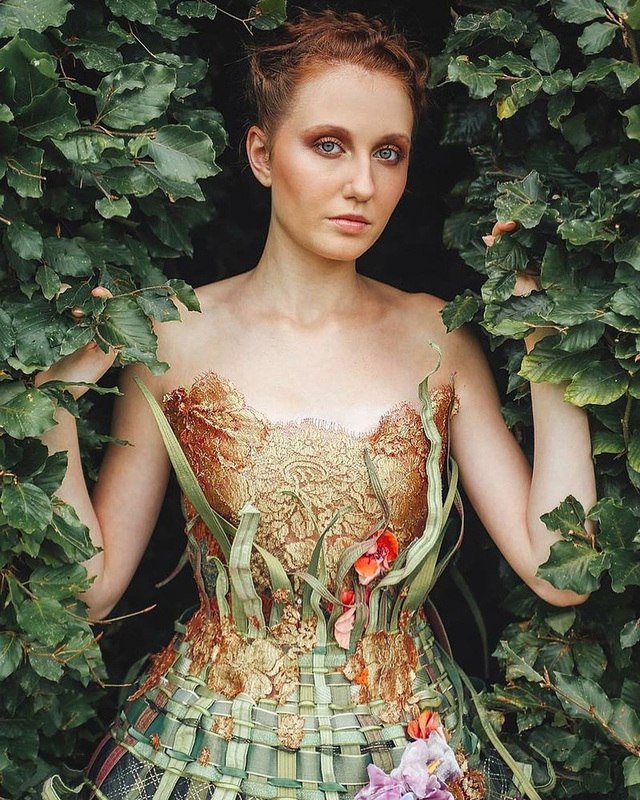 Even though we’ve already seen historically-inspired dresses and life sized wedding dress cake, these beautiful dresses surprised the wardrobe out of us. 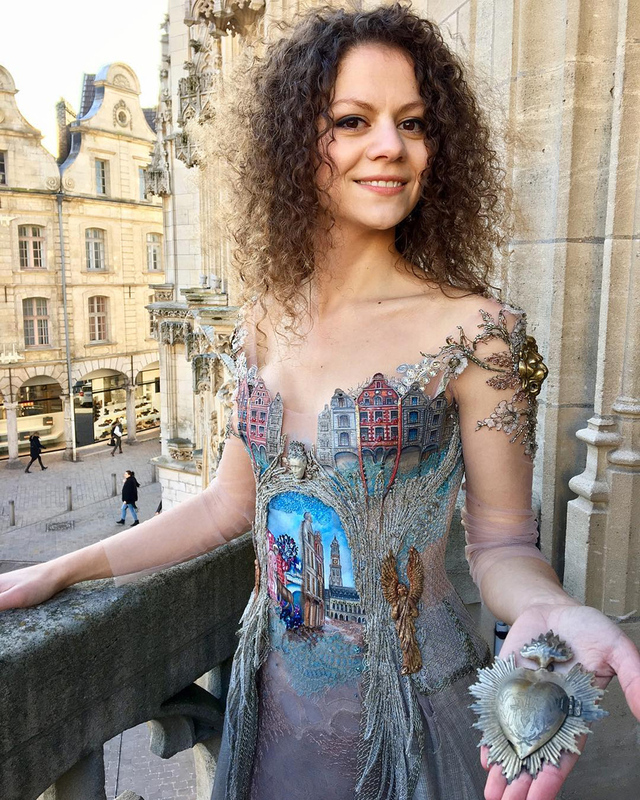 French creator Sylvie Facon sews fairytale dresses with such beautiful fabrics and attention to detail, they would steal any catwalk. 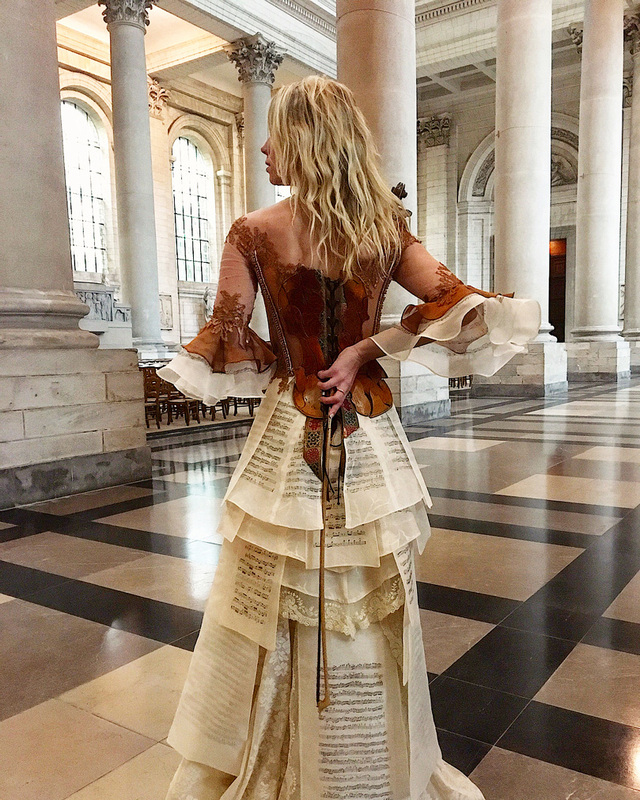 Facon even crafted one of her outfits from the spines of old texts. 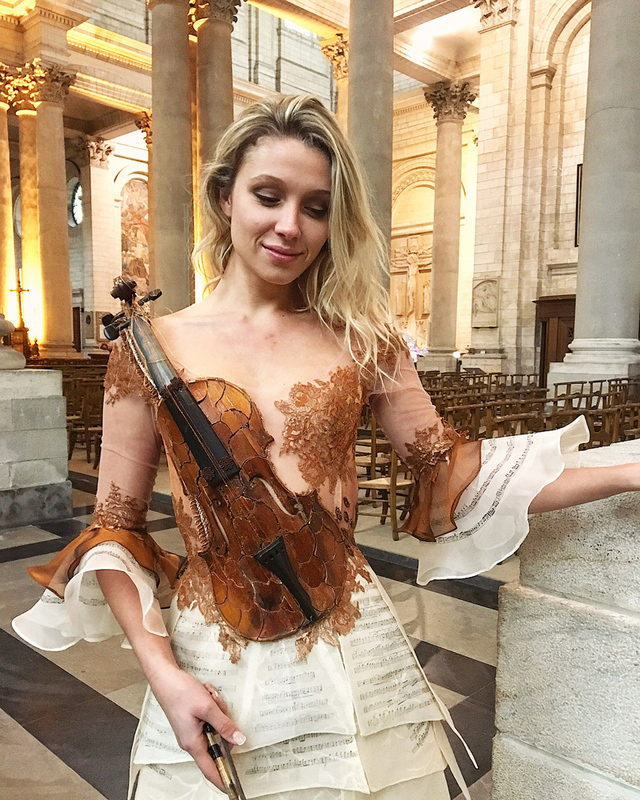 She worked on the dress with costume designer Morgane E. Grosdemange, and the steampunk-inspired garment highlights the incredible versatility of Facon’s skills. 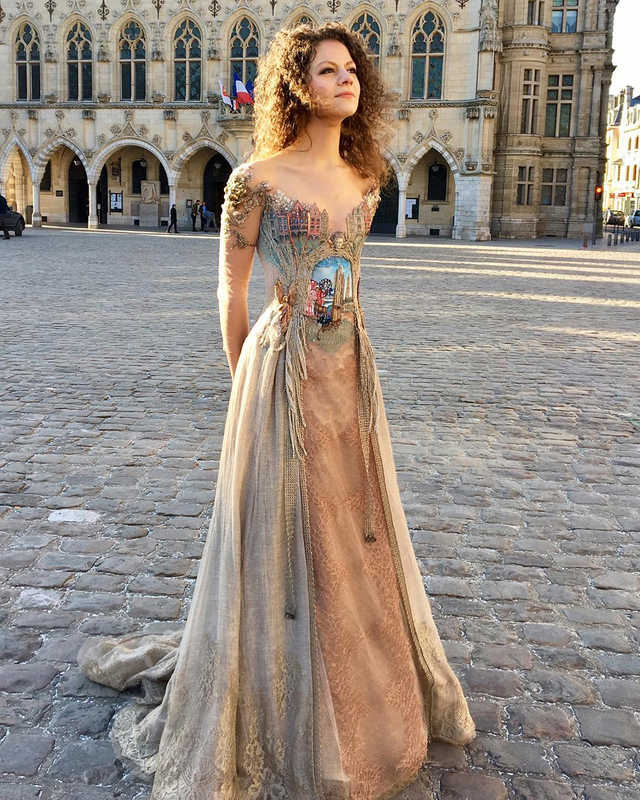 Scroll down to check the clothes even Cinderella would envy and let us know what you think about them in the comments. Such fantasy! 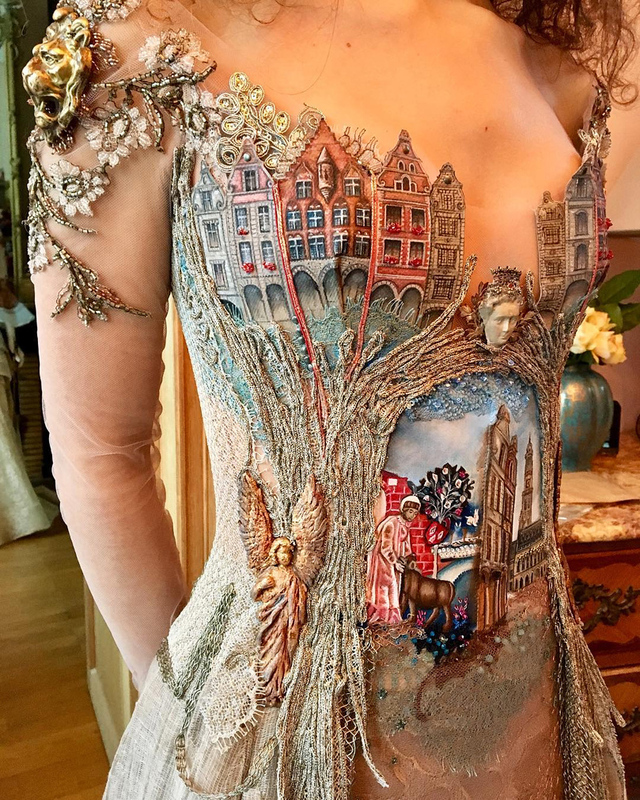 Such depth and richness of construction and beauty! Where will they go? Will they ever be exhibited?